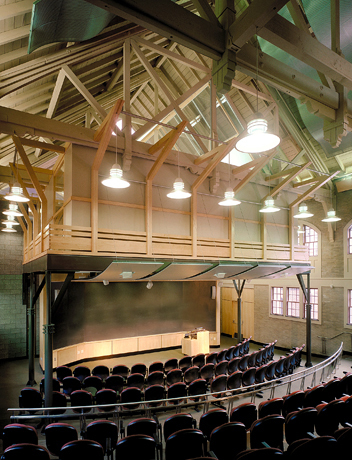 Renovation of the historically and architecturally significant 1907 Sayles gymnasium at Brown University combined meticulous restoration of the unaltered Tudor Revival exterior and judicious rehabilitation of the interior. 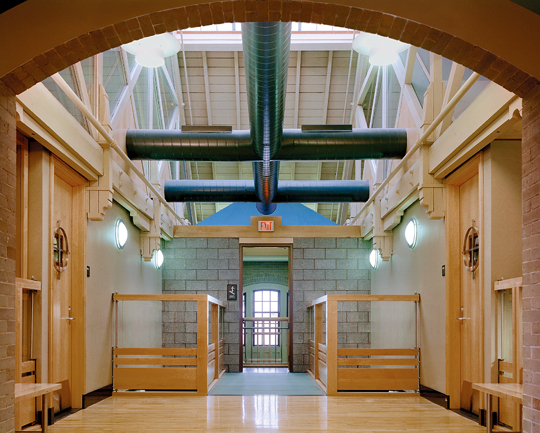 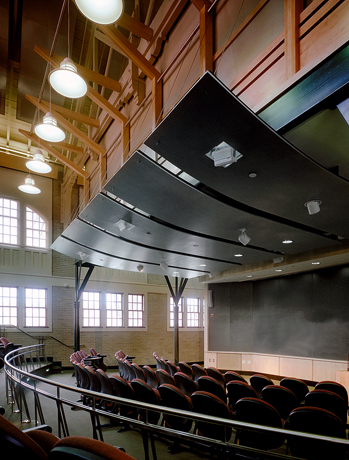 The program’s six state-of-the-art classrooms of varying sizes and didactic uses required reconfiguration of the large gymnasium space on the upper level. 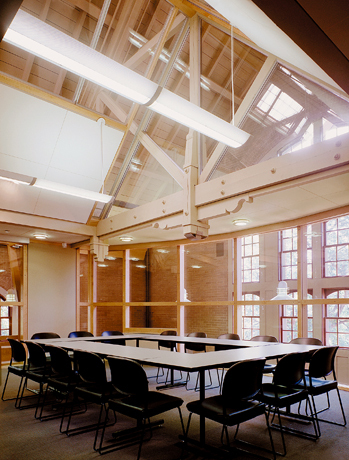 By using that volume for the large lecture hall and tucking smaller classrooms above it within the exposed trusses, KITE both respected the space and took inspiration from its utilitarian architectural vocabulary. 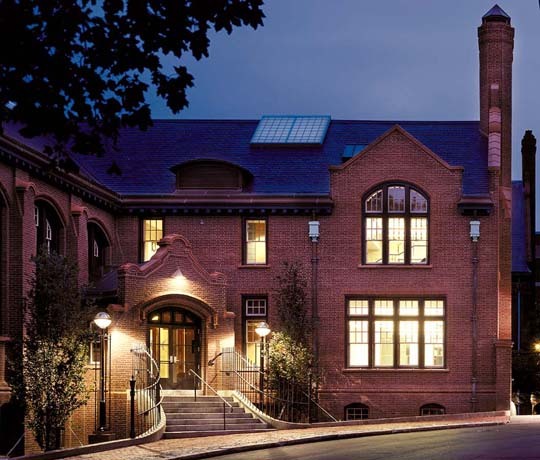 This project sets an enviable standard for historic rehabilitation by handsomely proclaiming what the building was as well as what it now is.